Let’s say you’ve reached out to a few college and internet radio stations with your music. You sent them your Bandcamp or Soundcloud link, and - gasp - the Radio Station actually replied to say they listened and really dug your stuff. They’d like to spin your song on their station. Yes! Score one for the home team. But wait one sec… Now is not the time to wait by the mailbox for your royalty check. You still have work to do. The station has only said they’d play your music. You’re still a few steps away from actually getting the airplay you’ve been promised. If you neglect these final steps, don’t be surprised if your song never gets played on that station. It’s a small thing but extremely important. Yes, there are many radio stations out there, but there are also many more artists and songs. Stations have plenty of music to choose from. If they don’t hear anything back from an artist, not even a ‘thanks”, they might just move on to the next artist, even if they dug your song. Why? Radio stations want some love, too. Most DJs and radio show Hosts - probably like 96% - aren’t doing it for the money. They do it because they love music. It’s a lot of work and they need to feel appreciated, just like an artist does. So it’s a simple thing - reply to say “thanks” every time any station accepts your music. 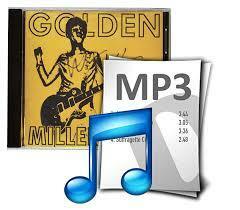 Some FM stations still like the hard copy CD from artists - it’s easier to pass around among fellow DJs. When a radio station emails you back to say “We like your song - now please mail us a CD” - this is great news. You shouldn’t grumble about sticking a CD in an envelope and mailing to the station. In the olden days, artists would mail CDs to 500 different stations, with only the hope they’d hear something back. See how good you have it? You’ve already received confirmation your song was listened to and approved for airplay. Mailing a CD is not such a pain. Really, you should have a few dozen CD press kits waiting and ready to go, with only an address needed. 3. You forgot to send a “clean” version of your song. 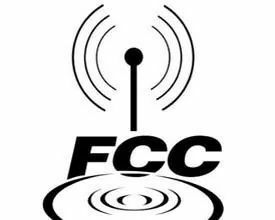 Keep in mind, all broadcasters including community FM and college stations are governed by the FCC, which means no explicit lyrics, not even one word. No exaggeration, the station runs a very real risk of losing their broadcasting license over one misstep. As a result, radio stations take extreme precautions when airing songs. If you sent your unedited version to get their attention, that’s OK. Just make sure you get them your clean version for the air. This applies to all music. A typical radio station DJ has a new playlist to fill on a weekly basis. That’s a lot of songs and bands to keep track of. Stay on their radar by following up every other week or so. Ask for a time slot. If the DJ has a two-hour weekly show on the college station, this shouldn’t be too hard. You should be tuning in and promoting on social media to your fans & followers what time they can expect to hear your tune. For stations that run 24/7, you can still ask for a window in which your song might be played, such as Saturday between noon and 6pm. Tell the station you want to promote to your followers. Some bands take it even further, sending merch and CD giveaways. Yes, this strategy can be quite costly. Still, it’s a pretty good idea, especially for your local station who will return the love right back. Do it. When I ask artists, “What’s the most frustrating part of sending music to radio stations”, by far the most frequent answer is “I never hear anything back“. Yes, it’s rare for an artist to get a reply from a station, not even “Sorry, your music doesn’t fit our format”. So when you do actually get a reply - and it’s a “yes,we’ll play it”, well then, don’t blow it. Remember to go through the next crucial steps to actually getting your song on the air.